Typical transponder to antenna read range for Ultra High Frequency (UHF) transponders is from 5' to 30' depending on the transponder / antenna orientation and attenuation level selected. It can be used for almost all types of events and with several different transponder options. Unlike the legacy LF passive tags, these UHF tags are unaffected by the LF noise generated by some electronically fuel injected motorcycles, and many quads. The read rate with these UHF transponders is far superior to LF transponders. These transponders (sometimes called tags), are "passive", meaning they have no battery to charge or wear out, and they are MUCH cheaper than their "active" transponder or even their LF transponder counterparts. They are powered completely by the electomagnetic field created by the RFID antenna. When a transponder enters the field of the antenna, they are powered up with just enough juice to return their identification to the antenna. The "battery-less" design means these transponders have an indefinite life span. The recommended UHF "label" transponder is not as rugged as the legacy LF transponder, but with proper care and protection, it should last for years. Some active transponders don't even allow you to put a new battery in them, so when the battery dies (after two or three years), you throw the whole transponder away and buy another (very expensive) one. Other active transponders allow you to recharge or replace the battery, but for the cost of just that battery, you could have bought 10-20 UHF passive transponders! These transponders have a (read only) unique identifier already programmed on them (think of it as a "social security number"). When you enter a rider in to an event, you will associate this unique identifier (social security number) with the rider. Nothing on the transponder changes, MotoTally just stores this number and anytime it sees that number, it will assign the lap to the rider. Since this transponder is read-only, it offers some nice benefits. You don't have to worry about the rider having his/her transponder "re-programmed" every time they go race at a different circuit. Once you associate that transponder with the rider, it is a permenant bond, and you will never have to "program" the transponder again. Many of the advantages that active transponders had over passive designs have been overcome with these passive UHF transponders. The UHF RFID reader (unlike the LF legacy system) can read multiple transponders at once, and with the addition of external antennas, can be used for a much wider "scoring lane". * Note: These transponders are considered "legacy" (still supported, but are no longer produced). 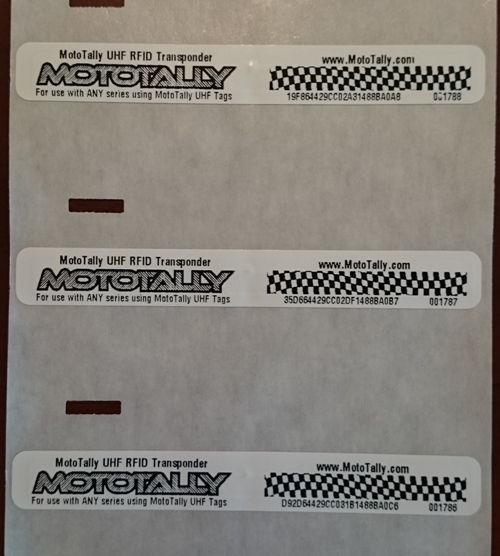 If you already have a Low Frequency (LF) reader system and want to upgrade to superior software (MotoTally of course), there is no reason you can't continue to use your existing RFID system and either of these transponders with MotoTally. However, the newer UHF transponders are so much cheaper that you would be money ahead to invest in the UHF system and transponders, especially if you are using the cigar style transponders. Typical transponder to antenna read range for LF transponders is from 3' to 10' depending on the transponder / antenna combination selected. It can be used for almost all types of events and with two different transponder options. 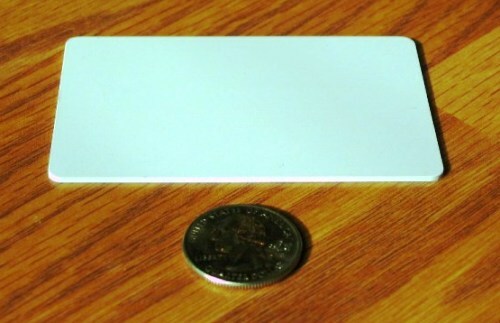 These transponders (sometimes called tags), are "passive", meaning they have no battery to charge or wear out, and they are MUCH cheaper than their "active" transponder counterparts. They are powered completely by the electomagnetic field created by the RFID antenna. When a transponder enters the field of the antenna, they are powered up with just enough juice to return their identification to the antenna. The "battery-less" design means these transponders have an indefinite life span (I've had and used the same transponder for 6 years). 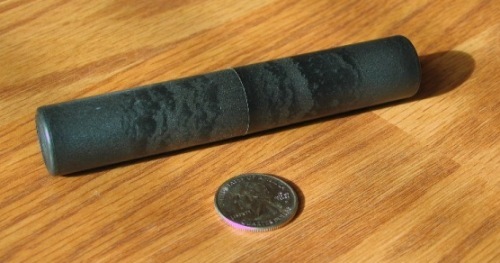 While not indestructable, they are very rugged and completely water-proof. Some active transponders don't even allow you to put a new battery in them, so when the battery dies (after two or three years), you throw the whole transponder away and buy another one. Other active transponders allow you to recharge or replace the battery, but for the cost of just that battery, you could have bought 5-10 passive transponders! To be fair, active transponder systems do have certain advantages over passive transponders. Generally, they are less picky about mounting orientation, and some can be mounted on metal (a big no-no with passive transponders). Their read distance is much greater, and multiple transponders can be read at once (they have to be able to do that since their read distance is so much greater). This makes them an ideal choice for motocross, where the finish line is wide and you could have three motorcycles crossing the line all nearly at the same time! But for the purposes of scoring hare scrambles and enduros, the rider is crossing the finish line or check flags in a single file manner anyway, so the passive system works great for these event types. The transponders are programmable. Depending on what will work best in your situation, MotoTally can be set to either program a unique, computer generated "Rider ID" to the transponder, or the rider's bike number. So during signup, actually on the entry form in MotoTally, you will be able to place the rider's transponder over a small transponder programmer that is hooked up to your computer, and program the tag for that rider with the click of a button. Easy!